Stuffed to the rim with real potatoes and a delicious serving of cheddar cheese are the Potato and Cheddar Pierogi. Try them today to see why these are the perfect addition to any meal. 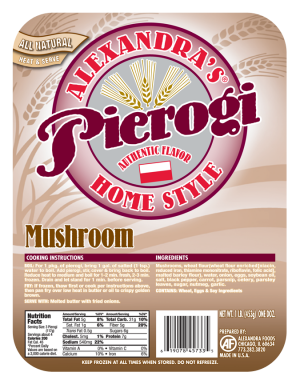 Price listed per package, which contains a dozen (12) Pierogi. Our Potato and Cheddar Pierogi are filled with fresh potatoes, cheddar cheese and the perfect balance of spices. They taste much different from the potato and cheese pierogi, because of the sharpness of cheddar cheese. While these are perfect for any occasion, they’re most popular during the Lenten season. Enjoy as part of a meal or alone as a filling snack! Instead of enjoying pierogi alone, enjoy them in a variety of ways. The possibilities are endless. For a truly savory delight, try one of our favorite recipes, Tasty Mushroom Topping. We believe mealtime should be simple. Gathering around the table with loved ones. Sharing stories of the day. Enjoying each other's company. Meal time is family time. Preparing an entire meal takes hours from start to finish. Save your precious time and order from JustPierogi.com! We deliver your pierogi ready to cook. With this in mind, why hassle with going to the grocery store? Not to mention the wait in checkout lines. Finally, consider the hours you spend on meal preparation. Meanwhile, we have simplified the process by shipping a delicious meal right to your door with minimal prep or cook time. In fact, all you need to do is add your pierogi from JustPierogi.com to a gallon of boiling water. Wait a few minutes. Then they’re ready to enjoy! It's like magic! AVOID storing warm product in same freezer used to hold your frozen pierogi as this might cause the pierogi to crack. 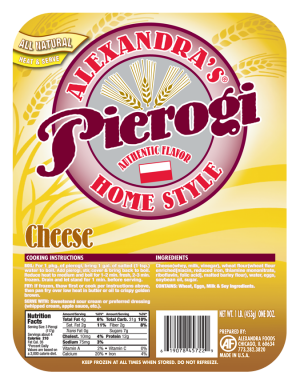 Sweet Cheese Pierogi delivers a simple delight with a powerful taste. These dumplings are stuffed with smooth and creamy farmers cheese that makes for an excellent treat or dessert any time of the day. Price listed per package, which contains a dozen (12) Pierogi. Perfect for vegetarians, our Mushroom Pierogi is created with a blend of delicious wild mushrooms bounding with complimentary spices. This dumpling is the epitome of flavor and will easily satisfy anyone. Price listed per package, which contains a dozen (12) Pierogi. For a twist on original Polish Pierogi, try the Maultaschen Pierogi! These use a German-inspired recipe with a filling consisting of pork, spinach, breadcrumbs and onions. Try them today! Price listed per package, which contains a dozen (12) Pierogi. 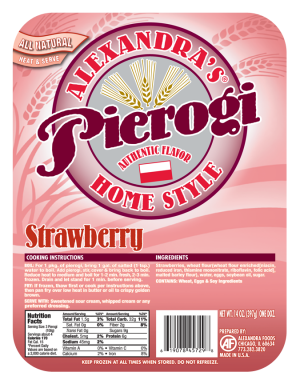 These Strawberry Pierogi take the sweet taste of strawberries and mix them with the savory flavor of dough to arouse your taste buds and leave you wanting more! They are the perfect end to any meal or stand-alone snack. 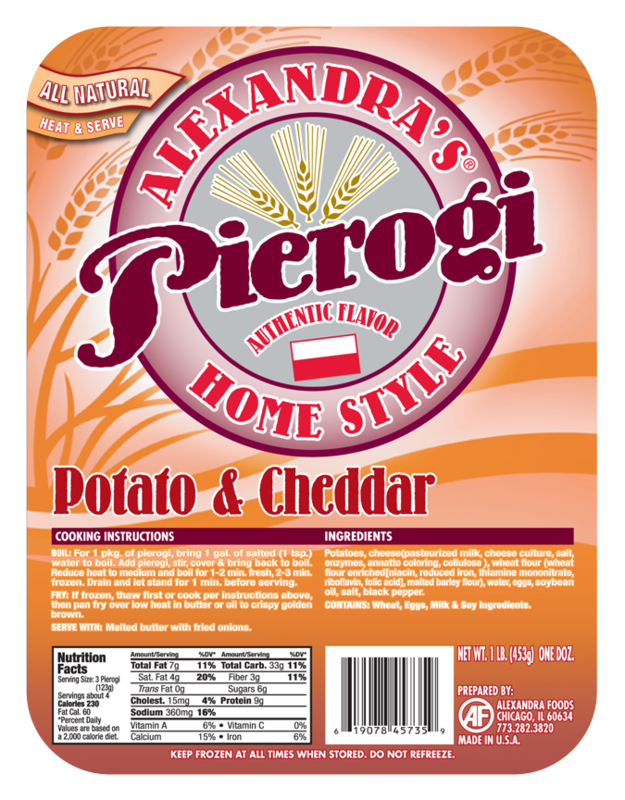 Price listed per package, which contains a dozen (12) Pierogi.